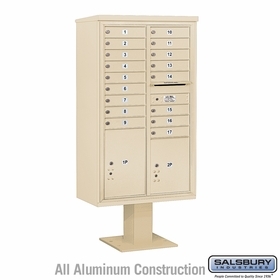 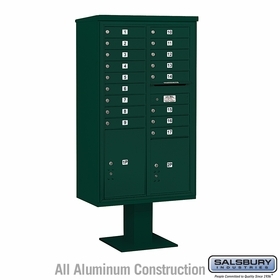 These 17 to 18 Doors pedestal mailboxes on BudgetMailboxes.com are USPS approved. Made by Salsbury Industries, these are durable, powder coated, scratch and rust resistant. Learn more about these 4C mail houses from our product representatives.